Grid roller. 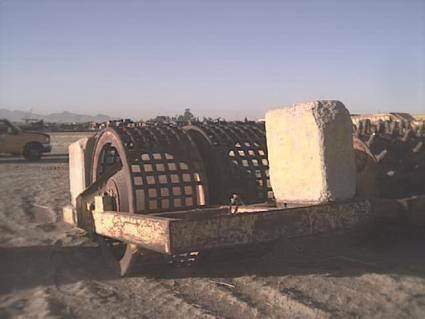 Produced by the Hyster Company, the tractor-drawn grid roller uses a heavy steel mesh to pulverize and compact the surface. The concrete blocks add weight.